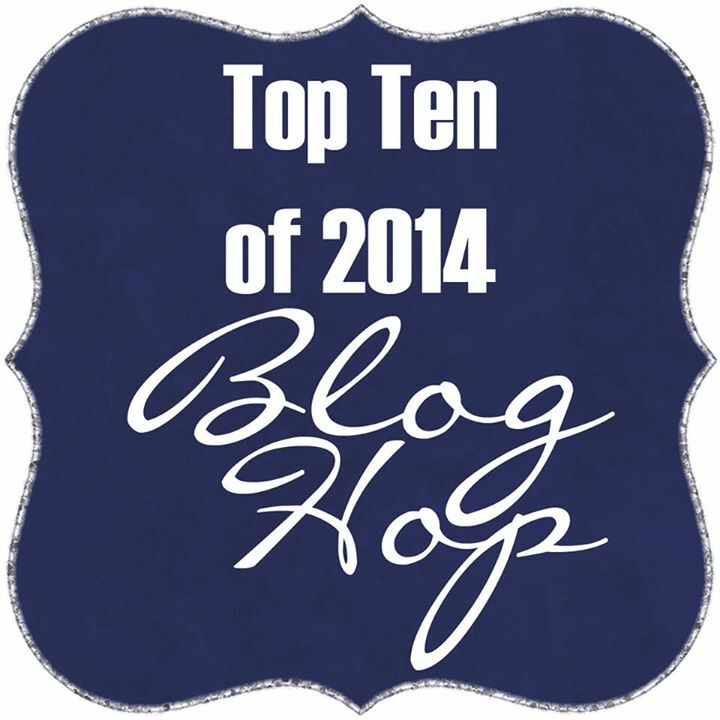 Hello and welcome to my post in the Top Ten blog hop! As the year draws to a close I want to share with you my favourite 10 projects that were published in Scrapbooking Memories Magazine, as part of the sponsor projects we were commissioned to do as Masters. I still can't believe it has all come to an end, but the memories will last a lifetime. Details of the hop are listed at the bottom of my post. There is an awesome prize to be won, so be sure to visit all the girls to maximise your chance of winning! 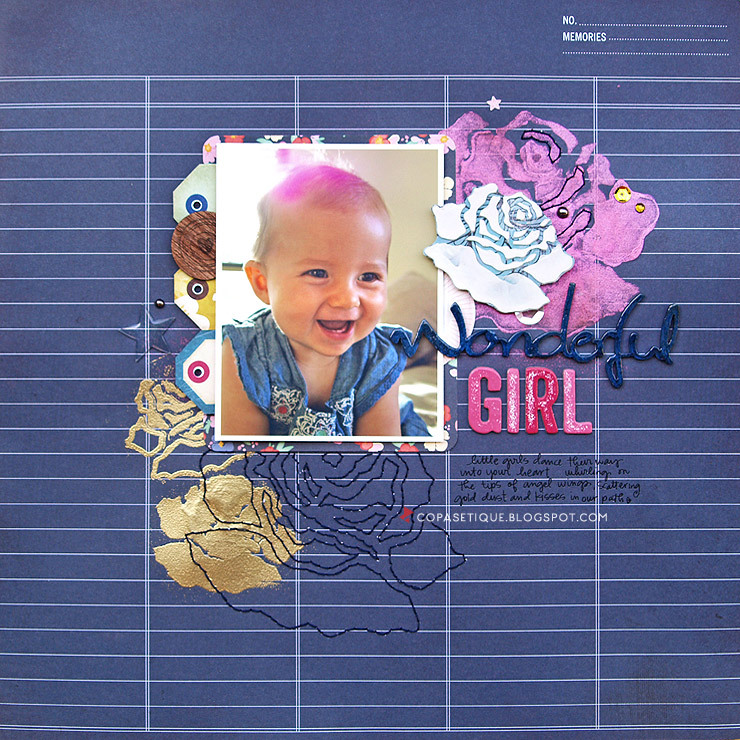 One of my first projects was this layout, using Flourish with a Bling stickers. The next two projects were for my first 'Mastering the Art' article. I chose to write about using the Silhouette Cameo machine, giving hints and tips to hopefully dispel some fears that it is a complicated piece of equipment. This next layout must be one of my all-time favourites, ever. I'm not sure if it's the colour combo or that gorgeous bubba of mine, but I just love the way it turned out! 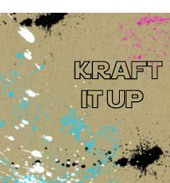 I've used a WOW stencil three ways: with texture paste, with mist and as a stitching template. 'Lovely Girl' was created for another article I wrote in the Silhouette series, this time focusing on the welding technique. 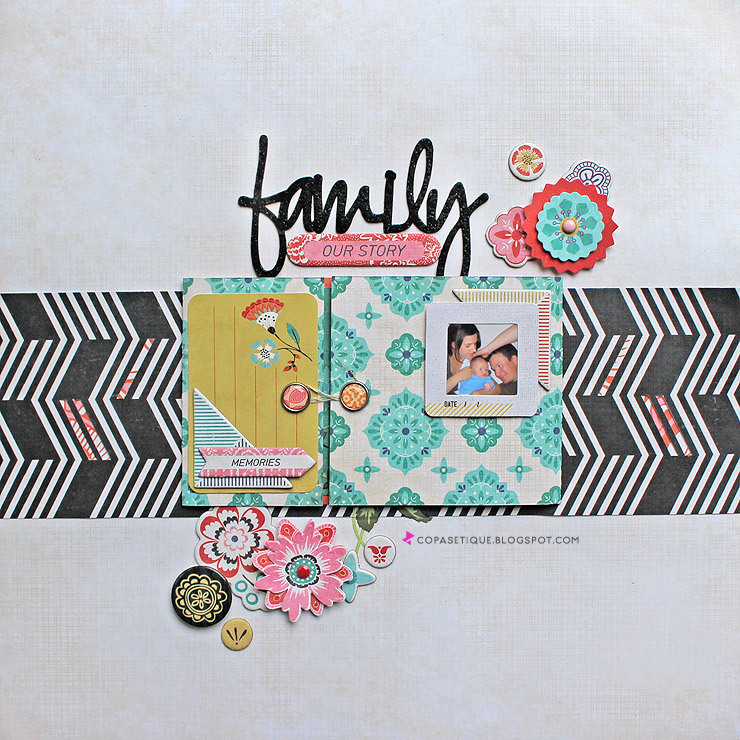 This layout, 'Family: Our story' is another one that I really love. Being an interactive page (which I really enjoy doing) it was difficult to see all the details in the magazine. The booklet opens to reveal the story of how my DH and I went from being two dorky teenagers to having a beautiful family. Living in tropical paradise, I really miss a true season change, but these rich colours were totally inspiring. This layout wasn't actually one of my commissioned projects for Masters, but it hasn't been on my blog yet so I thought I would include it now. Lots of Basic Grey goodies. I really like the concentrated amount of elements on the page. 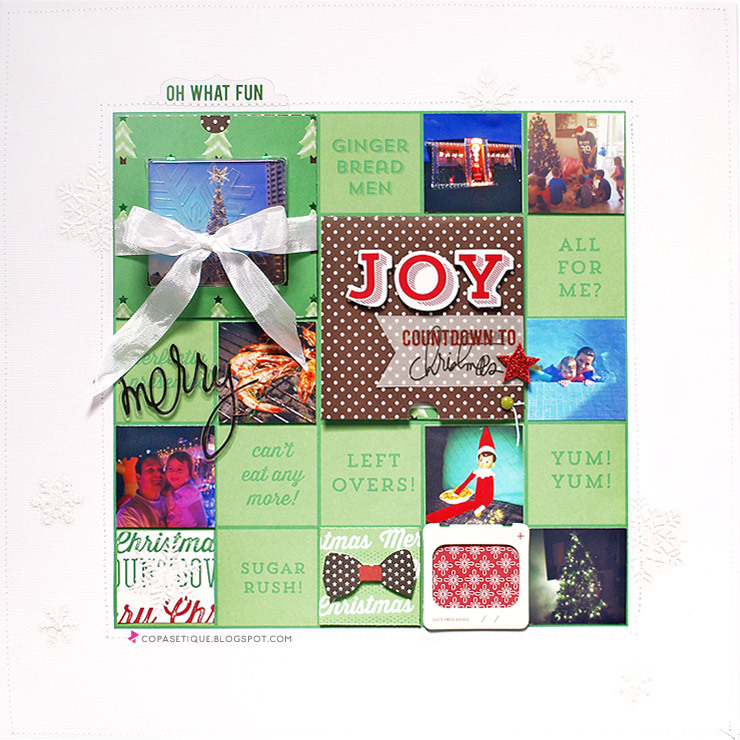 I so enjoyed working these fun dies and embossing folders from Couture Creations. The WRMK 'Inked Rose' collection I used is absolutely delish too! Now you'll have to excuse this last picture, as it was hastily snapped before I submitted it and now it's out of my hands for a class that I will be teaching locally next month! 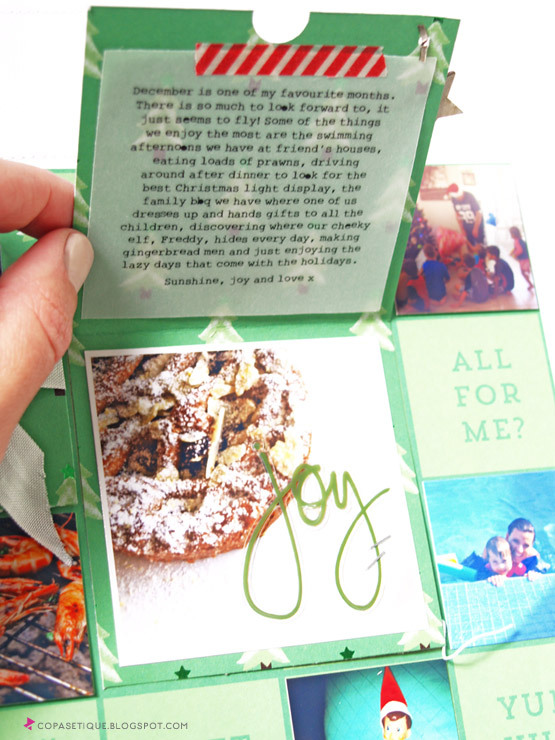 Another interactive page, my journalling sits under the 'Joy' flap. The shaker box (top left) can also be opened to reveal the snow flake. 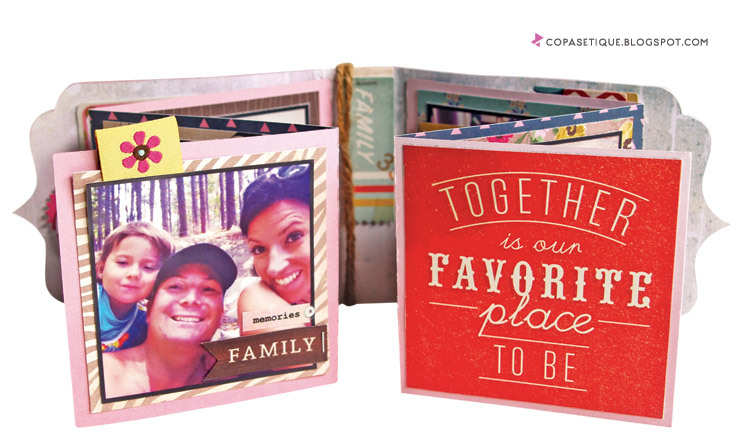 Prize: $75 Gift Certificate to Paper Issues! How to Enter: You can get one entry for commenting on each blog in the hop. ie a maximum of 24 entries (no more than one comment per blog will be counted). Entries will close on January 4th. The winner will be drawn from all the comments on the 5th, so be sure to check back here then. If you're following the hop, you will be moving on to Christine's blog next! Chantalle McDaniel << you're here! Thanks for joining in the fun and good luck! All your projects are wonderful but the summer holidays steals my heart with that saying together is our favorite place to be. Family is so important and you have captured family in all you projects! wow---lovely layouts and minis!! I especially like the first layout! 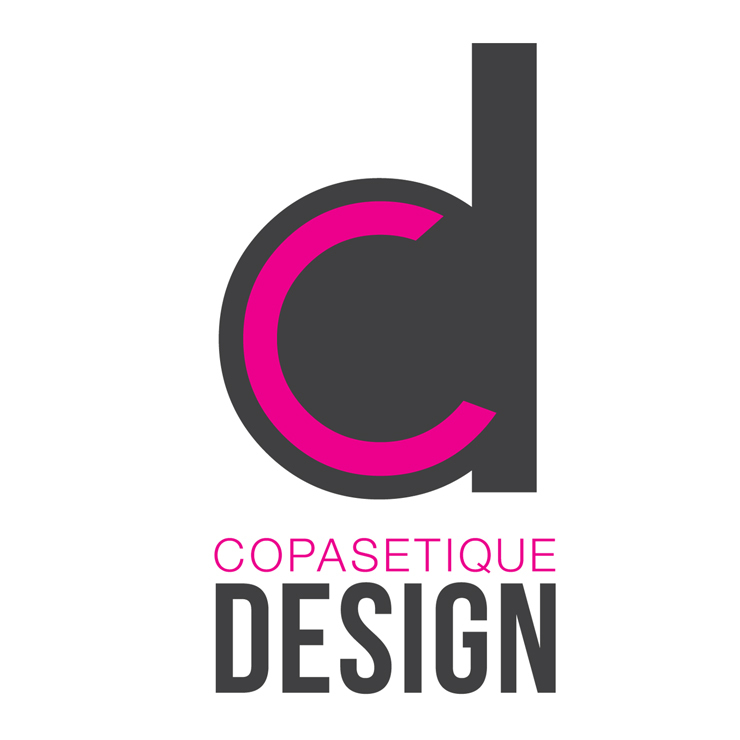 Love your pages! They are fresh and beautiful! Gorgeous work! These are wonderful pages! You have a great style! Your style is beautiful! I love your interactive pages and attention to detail! Wow lots of amazing projects! I love all your interactive features! So happy to hop along with you! Wow, love the Stars in Your Eyes layout, awesome! Beautiful layouts! I love the hidden journaling on the last one, and that autumn layout with the spray of leaves has such beautiful movement to it! Swoon.. your style is so gorgeous and inspiring. Interactive pages are a favorite of mine. Interesting use of interactive elements, and I love your first layout! choices, choices how do you decide? Love that top one!!! So excited to get to work with you this next year. Blessings on all of your 2015 scrappy endeavors! I love your layouts and mini albums! 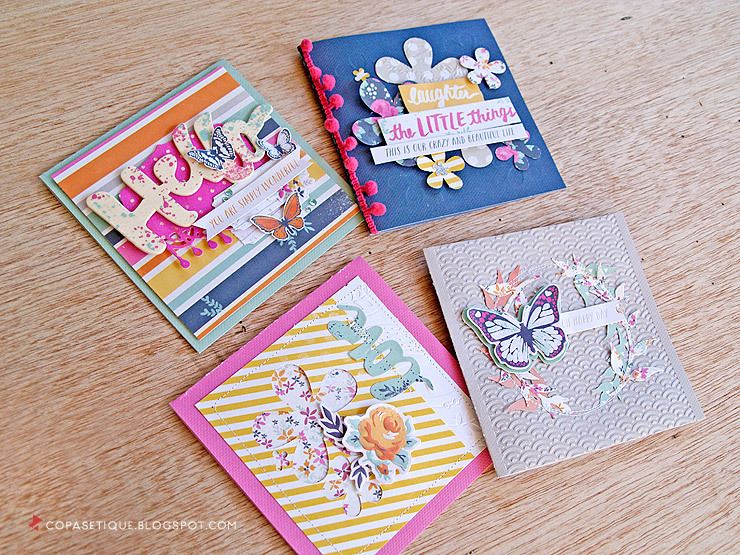 I also love those cards you made using the Ink Rose line! Great projects--I love the summer mini-album! Love your pages. I like all the embellishments. These are really wonderful layouts! 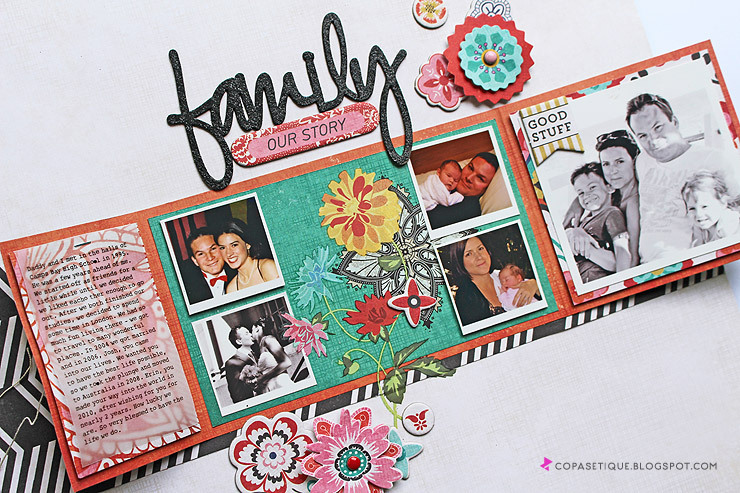 As a scrapbooker, I love seeing how others record their memories! I think I've found a new blog to follow and I look forward to being inspired here in the future! TFS! Love all your beautiful projects. LOVE the idea of the interactive pages!!!!!! 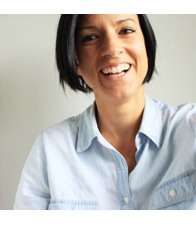 Just found your blog and will be following through Bloglovin. Your work is beautiful and I love your style! I absolutely LOVE your interactive page about you and your husband from teenagers to parents! What a great idea! Beautiful projects! I think the first one is my favorite. Just something about these flowers... So pretty! Love your projects!!! My favorite is "lovely girl" but I had a hard time choosing!! They are all gorgeous! Love the summer mini album! One of the most beautiful "white" layouts I have seen (your top one). Great work! 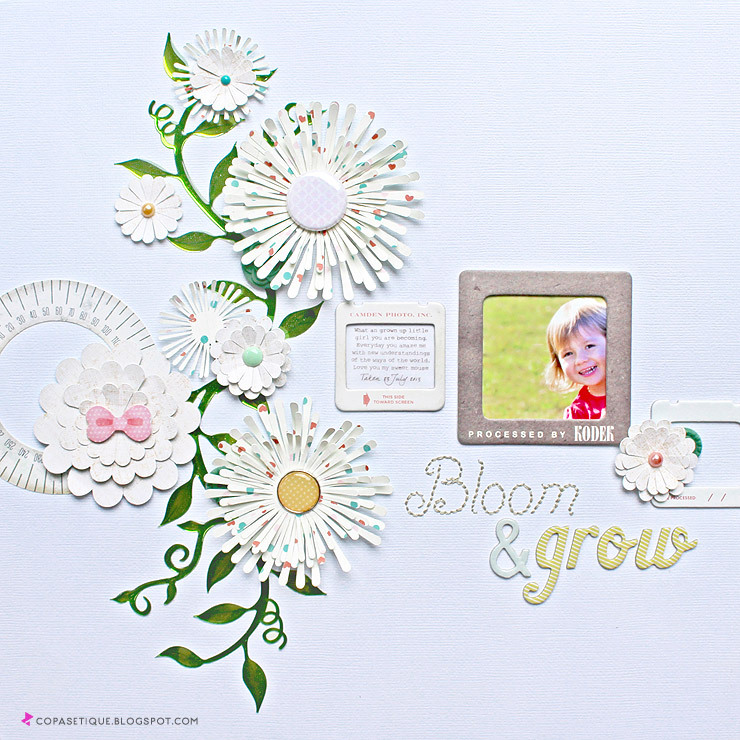 Great projects - love the flowers on the Bloom and Grow layout. Oh my goodness - what a wonderful year you have had!! 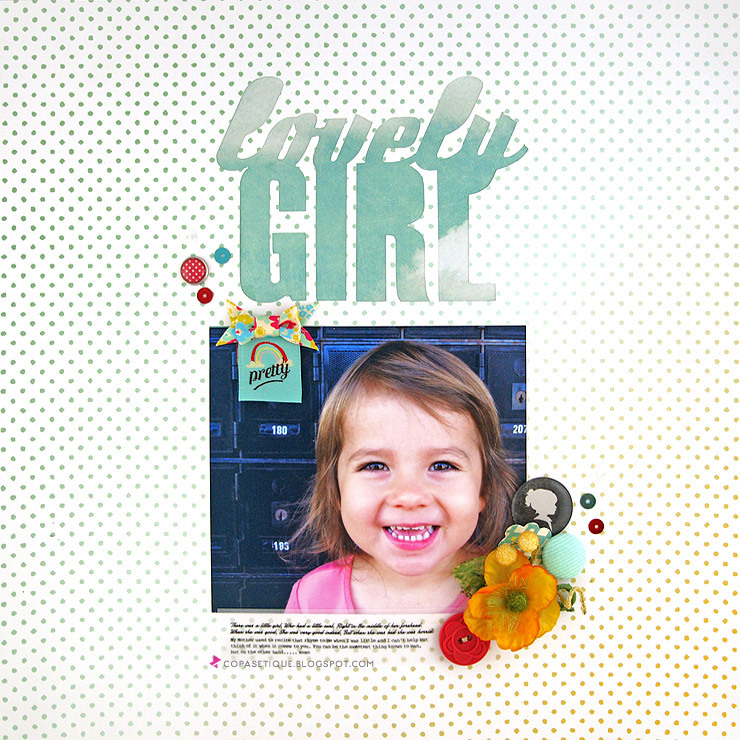 Love your work - your Autumn Sunshine layout really grabbed me - it is so lovely and so vibrant!! Awesomely done!! love all your projects but the summer mini album is fabulous!! Awesome projects Chantalle! I love your Autumn layout and I love the idea of an interactive layout. Gorgeous projects Chantalle, love all of them. Also loved your Silhouette articles this year so much!! Can't wait to see what you do in 2015! 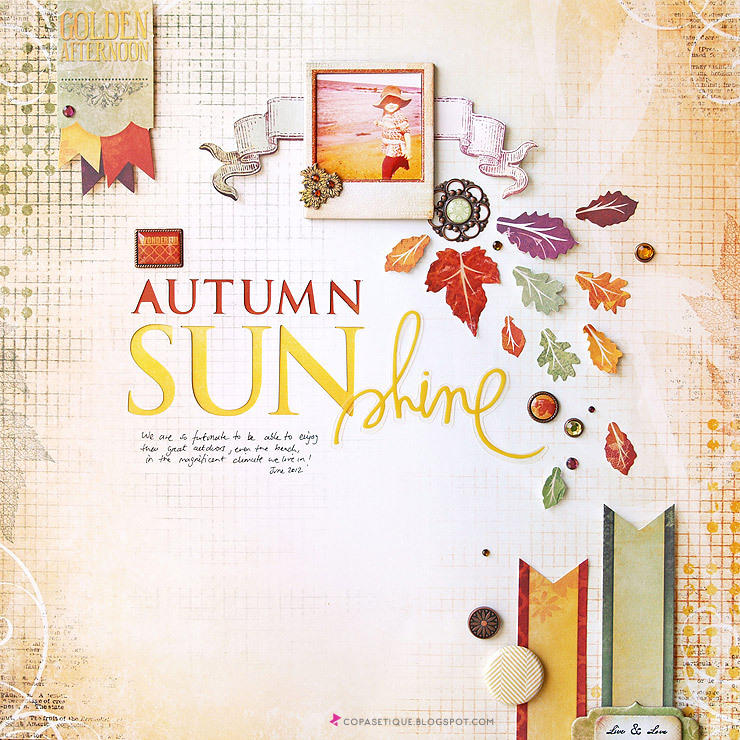 Beautiful layouts and projects but my favorite is Autumn Sunshine! 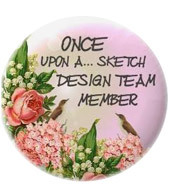 All of your projects are fabulous! I love the Christmas layout with the flaps! Awesome projects! Thanks for the inspiration! I adore your work Chantalle! So thankful to have stumbled into each other on Instagram! I love all the interaction elements on your projects. That mini album is great. Love your creativity and elements you do so well. 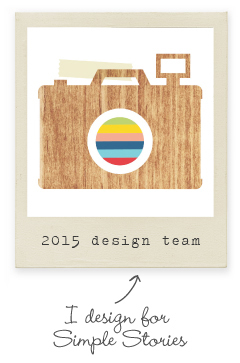 Looking forward to 2015! Thanks for the inspiration, your pages are wonderful. All your projects are so beautiful! My faves--the autumn one and the top page! I love your layouts! They have so much color and joy to them! Keep doing what you o so well into 2015! Love your work! Your interactive family page looks awesome! Beautiful layouts. Loved the Mini Books and the last interactive spread. The layouts were great. I especially loved the first with the feathery flowers and the one with the little puppies. What awesome projects! Your layouts are really unique and i love your mini album! Adorable- I especially like the interactive Christmas countdown page. Love seeing these top 10 posts! It really shows what your style is and I love yours! 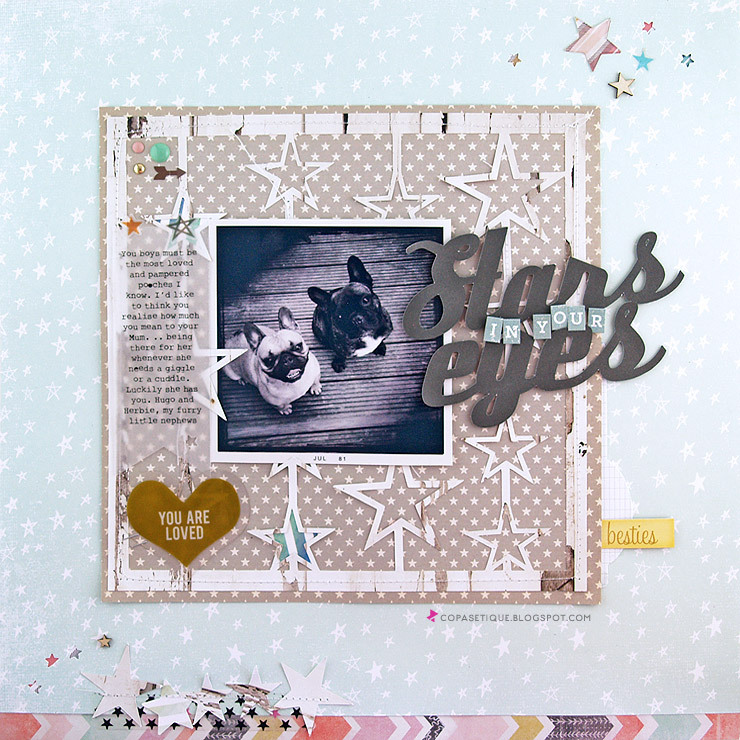 Amazing projects Chantalle--I think my favorite is the "Stars in your Eyes" ones featuring those adorable pups!! Happy 2015!!! all great projects, I love the mini album, tons of detail. These are fabulous fabulous projects!!! I love your layous so much :) Thank you for sharing them with us. Wish you a wonderful 2015! Fun layouts, great top ten. I really like the interactive Joy layout. Very nice! Thanks for the blog hop. Love your pages, especially the interactive parts :-). Looking forward to your class this month Chantalle. Thank you Kerry! Looking forward to tomorrow :) See you then!